"Socialism Caused The Paris and Caracas Riots!" ”No one should suffer from the great delusion that any form of communism or socialism, which promotes the dictatorship of the few instead of the initiative of the millions, can produce a happier or more prosperous society." The recent "Yellow-Vest" riots in Paris, France and the on-going riots taking place in Caracas, Venezuela, are no accidents and have the same four causes; government over-regulation, institutionalized socialism, the lust for political power and accompanying promises to buy votes to obtain that power. It is also no accident that government purposely divides up the masses so that they take their anger out on each other while taking their eyes off of government. In Venezuela, the people's eyes are now firmly fixed on the government and violence is their response to what government is doing to, or against them. There is no question that large populations require significant regulations to control. But there is a fine line between reasonably controlling the masses and preserving individual liberty. Government always errs on the side of over regulation and oppression and continues to do so until the masses rise up in outbreaks of civil disobedience. Civil disobedience then increases in severity until it reaches the violent stage and eventually open warfare, or revolution. It's not if a war will happen, only when. Government will also use a "manufactured crisis" coupled with guilt to control the masses. One of government's favorite "manufactured crisis" today, is climate change. They convince the masses that they are responsible for the crisis (guilt) and then talk's them into, with massive propaganda, paying for what they are causing and pay through the nose. If the cost to the masses is too high, violence is triggered, as in the Paris riots. It is the Progressives, the liberals, the Democrats, the socialists and the Marxists (identical "Quintuplets") that err on the side of over-regulation, control, manipulation, cajoling, herding and taxing those over which they have political power. These "Quintuplets" buy off large segments of the masses with promises from the public treasury and then turn them against those that must, by force of law, fill the public treasury. To rile up the bought-off masses, they vilify and demean those forced to pay, creating an irrational, irreconcilable divide between rich and poor. Sadly, the masses are too stupid to know they are being duped, being blinded by the beneficiaries of government largess. But that is not all these corrupt "Quintuplets" have done. Since before the turn of the Twentieth Century, they have systematically torn down the foundation of liberty that was established, at great cost, by the Founding Fathers. They have, in essence, planned a premeditated murder of American freedom, all for the sake of political power, a murder for which they should pay the price of traitors. Besides buying off the masses for votes to secure perpetual political power, they have eaten away, dissolved, distorted, misinterpreted, repealed, or abolished almost all of the Bill of Rights. They then replaced the Bill of Rights they just destroyed, with un-constitutional rights, by telling the masses they are entitled to "free stuff" (for votes) that are unabashed, shameless, open and blatant violations of the Constitution. The list of their socialist attacks on freedom would cover volumes but we will only list the more egregious ones in this column. 1. Declaration of Independence. The Declaration gave us the right to replace our governors, with force if necessary, but it is now against the law to even talk about or advocate for the overthrow of government. 2. The Free Press. The free press has been co-opted by one or more of the "Quintuplets". 3. The Right of Redress. The right of redress is a myth and a fantasy. It doesn't exist, unless of course you are wealthy, or a protected class. 4. Property Rights. Property Rights have been eroded to the point of being unrecognizable and have been all but abolished by environmental extremism and eminent domain abuse. 5. Fourth Amendment. The U. S. Supreme Court, in multiple decisions, has watered down 4th Amendment protections against Search and Seizure. 6. Right to Privacy. The Right to Privacy no longer exists. The government has a complete file on every American, from birth to death and is collecting more private information every day. 7. Immigration laws. Immigration laws are ineffective and instead create magnets for illegal immigration. Those magnets have created a giant open door on the American southern border, much to the delight of the "Quintuplets." They need more voters to stay in power and illegal aliens will add to their existing voter base when they grant them amnesty. 8. States Rights. States Rights have been usurped by federal edicts and federal blackmail. 9. The U. S. Constitution. The U. S. Constitution has been torn to shreds and is a shadow of its former self. It lies dismembered and bleeding on the cold floor from multiple wounds, wounds inflicted by the "Quintuplets." 10. These "Quintuplets" have bastardized the right to life and now full-term babies can be aborted in New York State. That's not abortion it's government-sanctioned murder! 12. They have put organized religion under the control of the IRS. 13. They are trying to water down and then repeal the 2nd Amendment. 14. They have bought off a large segment of the American population and made them dependent on government. That segment will now vote for the "Quintuplets" in any form and have lost their self-respect and dignity as Americans. They, by their own hand, have succumbed to government-instituted slavery. 15. The "Quintuplets" want open borders with no fences or obstructions, allowing hordes of un-assimilating illegal aliens and potential terrorists to invade America, at a huge cost to legal Americans and an irretrievable dilution of our culture. 16. They want to abolish Immigration and Customs Enforcement (ICE). 17. They have created sanctuaries for illegal alien criminals even though heinous crimes by illegal aliens against legal Americans continues to grow. 26% of all inmates in federal prisons are illegal aliens but only represent an estimated 7% of the total population. 18. They have nationalized health insurance under Obama Care and made it far worse than the free-market system it was. Premiums, deductibles and co-pays are higher and medical choices severely limited, even though the "Quintuplets" promised otherwise. They lied, on purpose. 19. They have brainwashed our kids for at least three generations in socialism and radical environmentalism. Those kids come out of school spouting the virtues of socialism and radical environmentalism, by rote. 20	They are attempting to pull fossil fuel energy production (80% of all energy) out of the electrical grid and replace it with in-efficient, expensive alternative energy (wind and solar) that can't exist without taxpayer-funded subsidies, alternative energy that takes fossil fuels to produce. Ludicrous! 21. They are responsible for increasing the national debt through massive entitlements such that it is un-payable by the taxpayers. This un-payable debt increases by the day at the hands and socialist legislation passed by the "Quintuplets." 22. They have complicated law to the point of absurdity and made a mockery out of that law. Now only high-paid attorneys can interpret the law, making each American an indentured servant to legislators and lawyers. 23. They have made the courts bastions of liberal cronyism where equal treatment under the law is a national joke. Murders, rapists and politicians get favorable sentences, or no jail time at all. 24. They want to replace capitalism and free markets with government-controlled socialism. 25. But far worse, the "Quintuplets" have taken over the news media and now spew only one side of any story, the "Quintuplets" side with truth being the first casualty. The "Quintuplets" have turned the original purpose of government on its head. The American Government was instituted among men to preserve, protect and defend the individual rights of its citizens, under the Constitution. But if government abolishes those rights, which for the most part it has as we have described above, it then turns to preserving, protecting and defending government's existence ..... by any means, which the "Quintuplets" have been doing for over 100 years. Eventually, that "protection of its existence", turns to a police state, as in Venezuela. 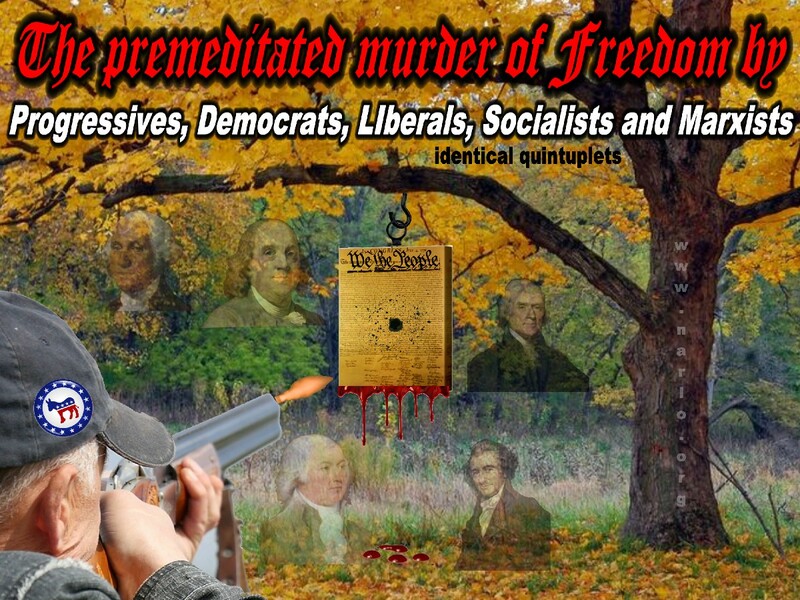 Finally, a free people will turn to violence as they seek redress from government oppression. The cycle repeats itself in multiple countries, century after century. To reverse the damage that the "Quintuplets" have inflicted upon a once-free nation would require re-educating the masses. If we started today, even if that were possible, and because of our "Little Black Box Theory", it could take several generations to complete that re-education. Because the "Quintuplets" have a strangled hold on the ignorant masses, there is no incentive to start that re-education. As our titles states, "Socialism caused the Paris and Caracas riots." These same types of riots are coming to a city near you for the same reasons and you won't be able to stop them. As we unravel as a society, we become vulnerable to a foreign power that could very easily take advantage of our weakness and division, if they haven't already. That ultimate reality is, your "one remaining defense" against the "Quintuplets" is your property line. There is still viable law that allows you that defense. Government has removed most other defenses. You can find that "one remaining defense" HERE, whether you live in a big city, or out in the wide-open spaces of America. The Constitution now lays in ICU, bleeding internally and on life support. Its breath is shallow and its heartbeat faint. It is doubtful that there is a cure for the intractable socialist disease that racks its body. There is an antidote for the disease, but the antidote is in short supply and comes with an astronomical cost. It remains to be seen if freedom-loving Americans are willing to pay that cost. They did once before, but do they have the courage to do it again? The task is much tougher now because they have failed to use the antidote when it would have been more effective and the damage wasn't so great.